Explore body movement and balance! 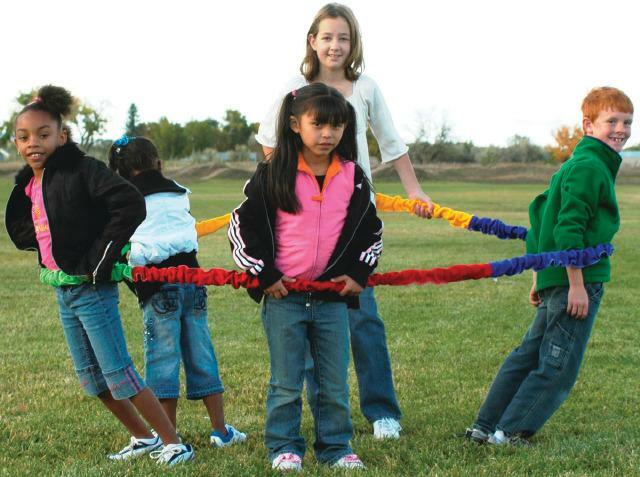 This soft and stretchy band is made of elastic cord covered with multi-colored fabric and is designed for group movement and cooperative activities. Holds 2-5 participants.